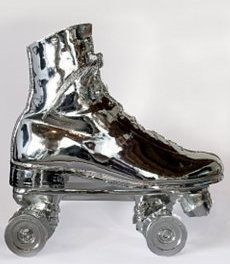 1 Response to "CUTE: Roller Skate Door Stop"
How cute is that! Love it! I'm a fan of silver anything. Are you familiar with those cute little Kartell gnomes? They make them in both gold and silver.